Spring break is coming up fast and maybe you don’t want to go to the beach this early in the year. It’s still too cold in most places to really enjoy the water anyway. 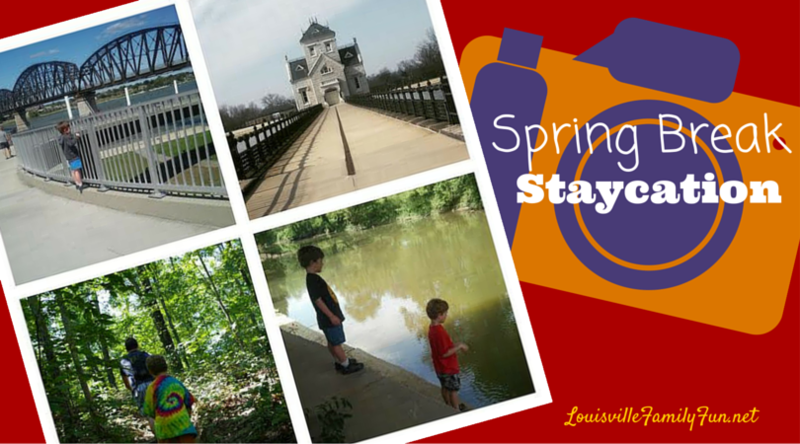 The good news is that there’s plenty to do right here in the Louisville area! -Pack a picnic lunch and head to Waterfront Park. Walk across the pedestrian bridge and enjoy the views, play on the playground, and have a picnic on the Great Lawn by the mighty Ohio River. -After lunch head down to Museum Row on Main to check out The Louisville Slugger Museum, The Frazier History Museum, The Kentucky Science Center, the Kentucky Museum of Art and Craft, or any of the awesome museums along Main Street. Save your receipts for discounts if you want to visit more than one! Bring magnets – most of the buildings on Main Street have metal facades, the kids can test out which ones while you walk around. -Head down to Bardstown and take a tour of My Old Kentucky Home. Then check out the most beautiful small town in America- historic downtown Bardstown. Have lunch at the Old Talbott Tavern. -Stop by Bernheim Forest for a hike and a late afternoon snack at Isaac’s Café. Check their website for special events during Spring Break week. -Go swimming at the Mary T. Meagher Aquatic Center at the Crescent Hill Reservoir. Take a walk around the reservoir afterward. Bring a camera – great for photos! -Eat at Clifton’s Pizza and then ice cream at the nearby Comfy Cow or Homemade Ice Cream and Pie Kitchen – they’re right across from each other on Frankfort Avenue! -Finish up the day at the movies if it’s a rainy day. -Have an Indiana day! 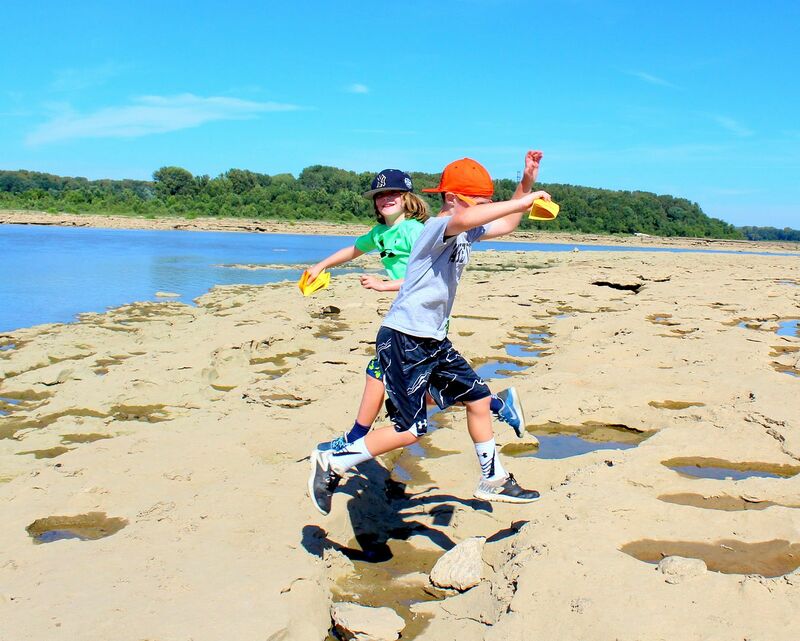 Explore The Falls of the Ohio State Park, The Howard Steamboat Museum, and Schimpff’s Confectionery and Candy Museum. Or if you want to take things underground venture up to Indiana Caverns or Marengo Cave. 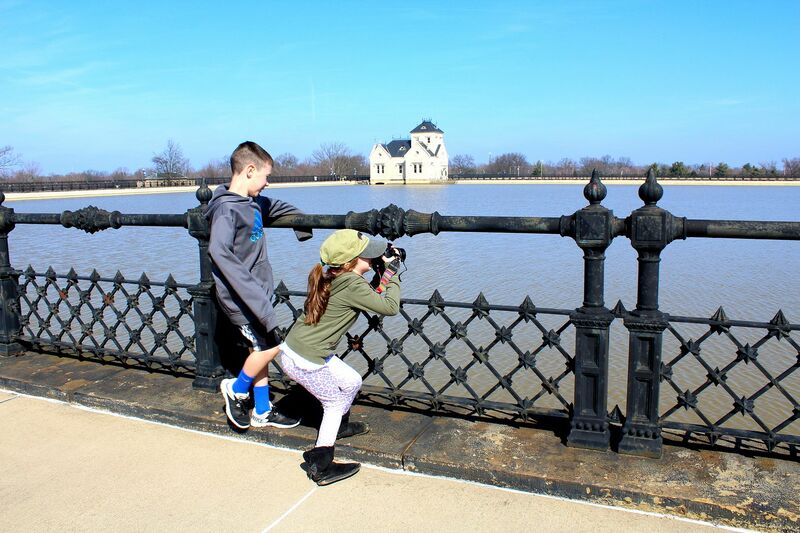 We love walking over the Big Four Bridge to the playground on the Indiana side and making a day around Jeffersonville too! -Stop by The Kentucky Derby Museum to learn all about the history of horse racing in Louisville. Kids love dressing up in jockey silks! Admission is free for kids under age 5 and admission includes a tour and an amazing 360 degree movie. -Have lunch at nearby Vietnam Kitchen so your kids can try something new. Noodles and dumplings are always a big hit! Or, Wagner’s Pharmacy – there’s a ton of history there and great diner food. 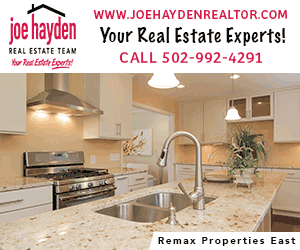 -Head out to The Parklands at Floyds Fork for a walk around the Egg Lawn. Bring a kite!